Разстояние до летището 24,4 км. Имате въпрос към Golden Crown Court Pearl Harbour Guest House? Удобно проектиран като за бизнесмени така и за почиващи туристи, Pearl Harbour Guest House е идеално разположен в Цим Ша Цуй - една от най-посещаваните части на града. Разположен на 0.1 km от най-вълнуващите части на града, този 1-звезден хотел притежава отлично местоположение и осигурява лесен достъп до най-големите забележителности. С удобното си местоположение хотелът предлага лесен достъп до всички градски забележителности, които задължително трябва да се видят. В Pearl Harbour Guest House отличното обслужване и достъпните съоръжения допринасят за Вашия незабравим престой. Хотелът предлага достъп до широк спектър от услуги като безплатен WiFi достъп във всички стаи, експресно настаняване/напускане, Wi-Fi връзка в общите части, асансьор. Дизайнът на хотела е съобразен с най-високите изисквания за удобство и комфорт, осигурявани от съоръжения достъпни в някои стаи като телевизор с плосък екран, достъп до интернет (безжичен), безжичен интернет достъп (безплатен), стаи за непушачи, климатик. Освен това в хотела можете да се възползвате от множество предложения за приятно прекарване на свободното време. Когато търсите удобно и комфортно място за настаняване в Хонконг, изберете Pearl Harbour Guest House, който ще се превърне във втория Ви дом. 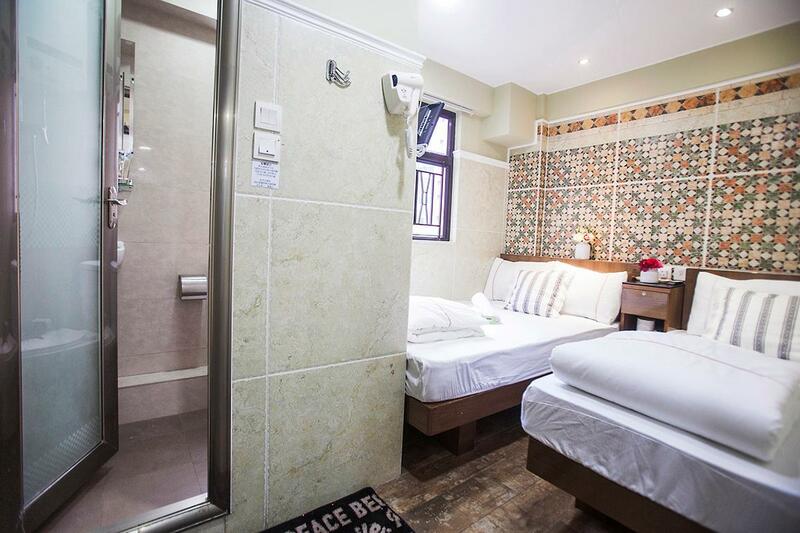 location is just a few steps from the mtr station. very close to the harbour. shopping and food centers surround the area of the hostel. we're lucky that we we're given a room with a big bed w/c can occupy 3 or 4 persons. though the room is quite small (which is just normal in HK hostels, so it's a no big deal). internet was fast. The guest house has the best location ever! It is a minute walk to tsim sha tsui station. It is also very near best market 360 (sweets shop where chocolates ate sold at a very low price! 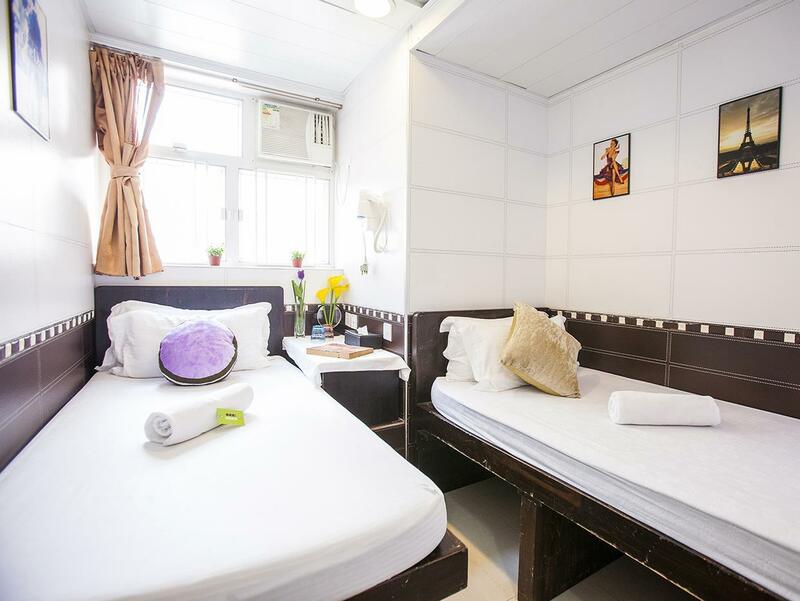 ), elegant shop (souvenir shop), affordable restaurants, bus stations (A21 bus to and from airport is just across this guesthouse), shopping malls, money exchange (very good rates at chungking mansion), and atm machines. The staff (ate cherry) is a filipina who is very accommodating 😊. Now the room. The room is clean and smells good. It has all the basic things. There is water dispenser in the hallway 😊 Room for improvement: maybe a small ref shall be placed near the water dispenser. Also provide utensils like spoon and fork and chopsticks inside the room. Maybe the hard plastic glasses should be replaced with mugs. 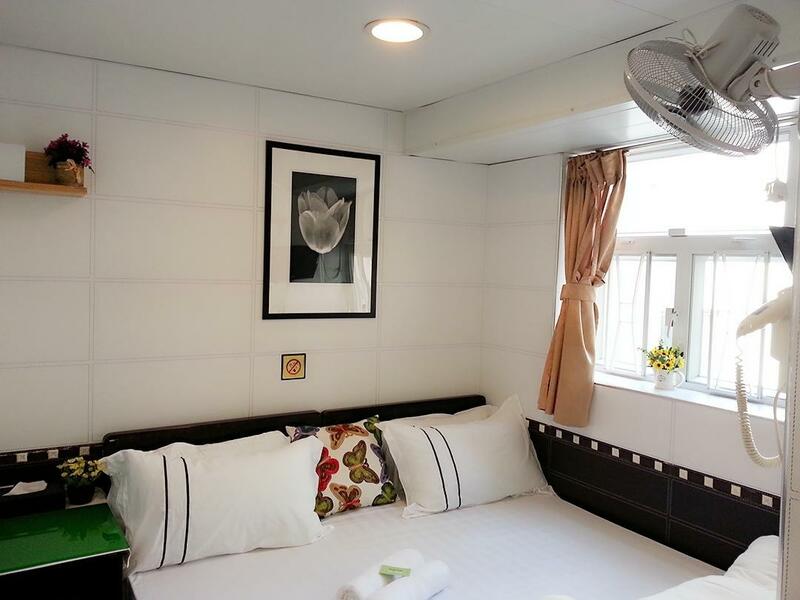 - We were relocated in Happy Peach Guest House in Granville Road, one of the many streets perpendicular to Nathan Road. The building is some 3 mins away from Golden Crown Court, has a fast elevator and a kind security guard. We passed by many restaurants and a Starbucks along the way. - The room we had is exactly the same as what I booked though it's actually a lot smaller than what I imagined. It was tricky for the 3 of us and our big luggage. - Everything about this place is positive except for the size! But I guess that's the standard size of apartments in HK. - Pros: good security, complete facilities (AC not noisy, tv, hot/cold shower, towels, electric kettle/cups/coffee, slippers, very comfy bed) - Super kind owner. She let us leave our luggage for safe keeping after check out. And she let us use the toilet in a vacant room when we returned to get our luggage. Thank you! First time travelling to hongkong with my friend. Was intro by our Taiwan friend to stay at this guest house with good location. The room was just nice for us as we are mostly out and hardly stay in. We could say its good and sufficient for travellers. Will stay there again the next trip. I booked a hotel with 3 people in 1 room but when i got there i just get a room with 2 people in one room and 1 people in 1room and the hotel said that the room is lie to me n tell me that i ordered was not available when i see there is 1room for 3people has available. The hotel did not want to give that 3person room to me for the reason they yesterday wrongly gave the price to the agoda n fault there is but they blame the price mistake to me and from the hotel say if i do not like then i can get out of this hotel and there will be no refunds. What the such hotel!! Our stay was great. We were able to find the hotel's location easily. And it is very strategic. Close to mtr and a lot of establishments. The beddings are being changed daily. And the cleanliness is superb. You can never expect to get a big room but it is comfortable enough for me and my partner. The building feels safe as well as the guesthouse. The attendant. Cherry has been very good and accomodating. Will definitely go back to this guesthouse if ever i'll visit hk again. Location, near to MTR and quiet at night in hotel. It was okay. The room was small but sufficient for one person. It might be a bit small if there are two persons. There is not sufficient space to place two person' luggage. For one, it is still okay. The bathroom can be bigger though. There is no hot water in room, but you can get it at the corridor so still quite okay. Thank you to Lea and Sherry for their excellent customer service. It was quite nice very small space but good enough for a sleeping room and break time Nap. I stayed in the single room, refrigerator doesn't work its like a fan refrigerator. They had a charger converter that's a plus ! Nice small location modern hall within the hostel entrance. Very good and quiet hostel for people who want a quiet and long nap after all day travel. No annoying sound from next room. Cleen sheet.near MTR. Commendation goes out to Cherry (one of the staff) for being very accommodating and helpful. 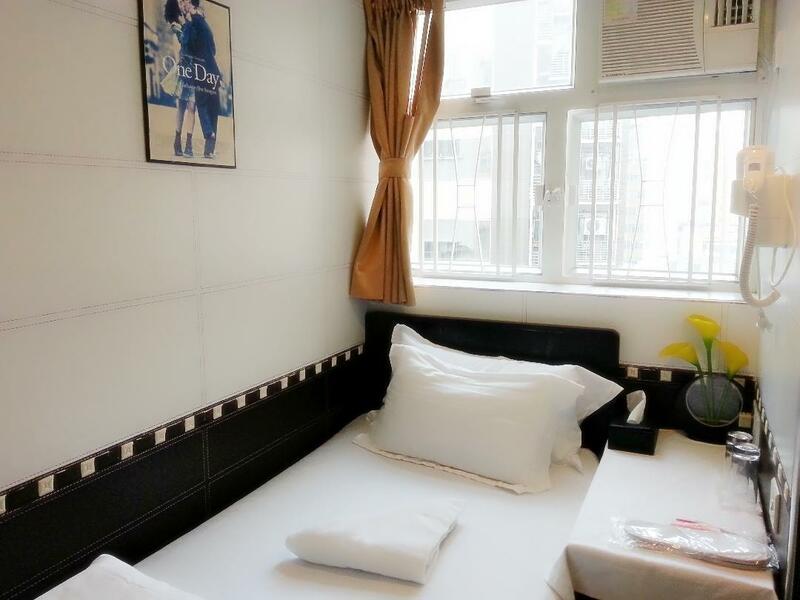 Room was very clean and location was great -- Near TST MTR Station.